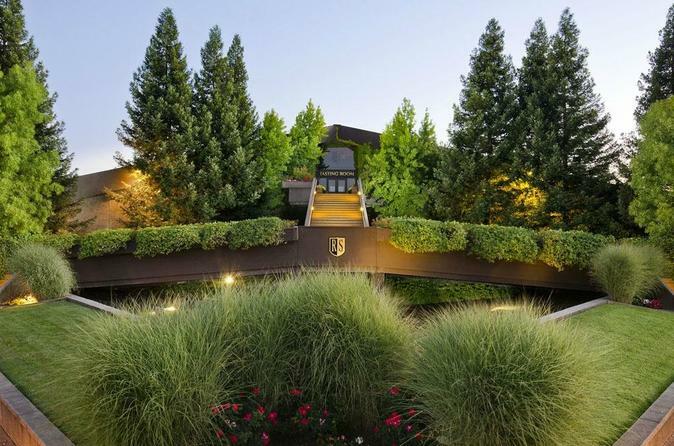 Enjoy a full day of fun with your groups very own chauffeur and executive black Sedan or SUV taking you from your hotel in San Francisco to zip lining and Canopy Walk Tour in the forest of Sonoma followed by a custom wine tour experience of the Russian River and Sonoma county area. From your hotel/residence in San Francisco, your driver will whisk you away and up North to Sonoma County, where your group will get to spend over 2 hours of zip line excitement in the forests of Sonoma County. Your driver will be awaiting your return at the end of the ziplining track. Upon text or phone call, your driver will be ready in just moments to great your group and present our company gift bottle of champagne to enjoy in the forest zip line lot before taking off to take your group's first winery stop: Korbel Winery, (where complimentary wine tastings and tours are available. Lunch is also available at Korbel.) Korbel Winery is a gorgeous property deep into the forest of Guernville. You'll certainly notice the crisp air from the tall redwood trees towering around the Winery. Korbel offers tours of their winery on the hour every hour, which allows guest groups to delve into the history of the winery as well as the processes in wine making.